When Julie arrives in Boston for college she finds out the apartment she has rented doesn’t exist. Her mother’s former college roommate invites Julie to stay with her family; Matt, the quirky, cute and nerdy MIT student, Celeste, the super smart younger sister who has some quirk of her own, and Erin and Roger, the hardworking academics who rarely spend time at home. As Julie starts to settle in, she starts talking to the one member of the Watkins family she hasn’t met yet, Finn, who’s rooms she is currently occupying. Through emails, chats, and Facebook statuses, Julie begins to fall in love with Finn. As Julie gets closer to everyone in the Watkins family she stirs up the family’s secrets. It’s hard for me to express how great this book is without sounding like a squealing teenage girl! This book exceeded my expectations with its great characters and plot. Being somewhat of a nerd myself, I loved the humor and conversations between all the characters. Julie was equal parts smart, funny and nerdy while still being completely relatable and realistic. Matt was the typical MIT student, super smart and geeky but he was caring and funny too. I did figure out one part of the plot about halfway through but it didn’t take away from the rest of the book at all. There was still plenty of twists that kept things interesting. I was so invested in this book that I read the majority of it in one afternoon because I had to know what happened! I don’t want to say too much about what happens so I don’t spoil it for everyone that is going to read it! If you like great romance stories with smart and funny characters you have to read this. It is a more sophisticated romance story that many young adults, and even adults, will love! 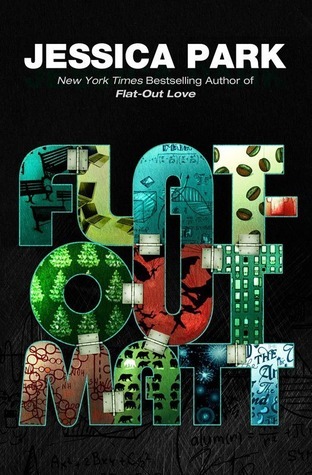 In Flat-Out Matt, Jessica Park has taken some of the chapters from Flat-Out Love and written Matt’s point of view. 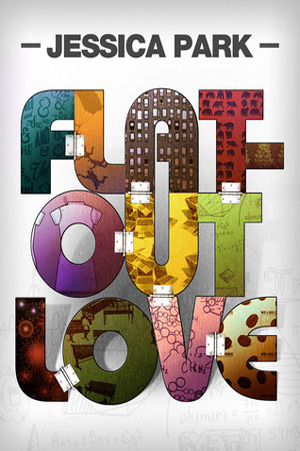 She picks key chapters that coincide with pivotal moments from Flat-Out Love. It’s great to have some insight into Matt’s mind and I loved him even more after reading this than I did after Flat-Out Love. There’s also an extra chapter at the end that takes place right where Flat-Out Love ends and its the perfect ending.